Last June at Beijing Comic Con quite a few people came to take pictures with Chewbacca. Then later in a WeChat group about Sci-fi someone posted their picture with Chewie and I mentioned that was me… private conversation ensued then the ever enthusiast Troy started to talk about making a SW fan film… 4 months later comes the announcement by Disney of their #GoRogue #Star Wars competition. Within 24 hours we decided to go ahead. I penned down a quick storyline and character background , thought of costumes and got East Hotel Beijing on board as shooting location and the local 501st joined in the fun. Troy’s Team of action movie actors then kicked in and within 10 days costumes, location shooting and post-production were wrapped up. 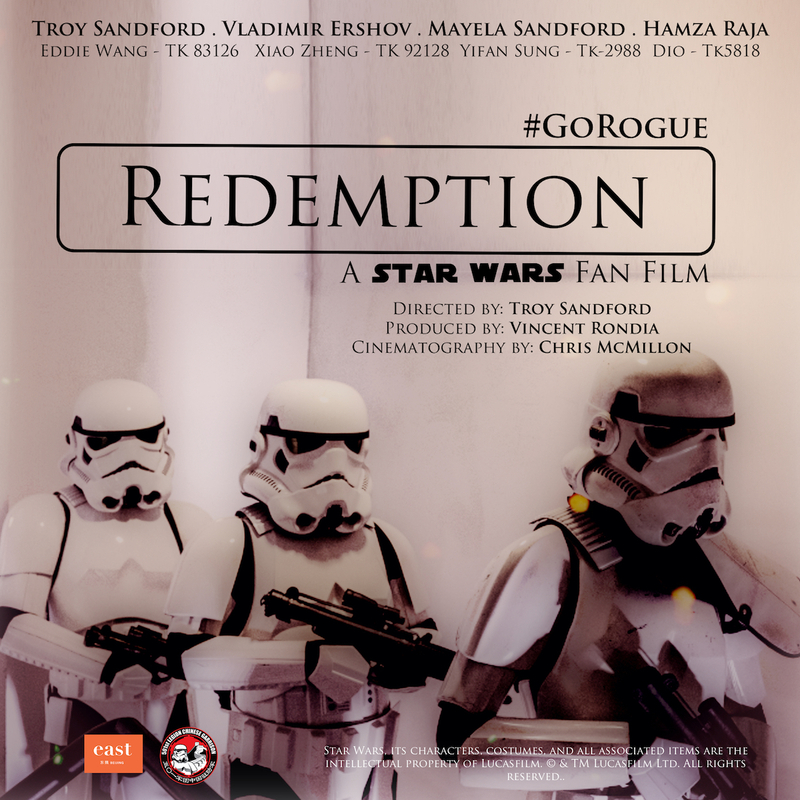 Redemption is the story of a shamed elite black-ops stormtrooper exiled in a far aways forgotten outpost until the day where he encounters rebels… and finally show what stormtrooper can really do when fighting.